Are you of those tired of slow lifestyle? Are you bored of sunny days on Miami beaches and you want to experience the adrenaline and new crazy city life? If you’re curious by nature, have you thought about moving to Harlem, NY? New York is a great place if you want to feel the wild spirit of one of the world largest metropolis. Certainly, life in Miami has its advantages, many sunny days, a relaxed life, beautiful beaches, and nature. But on the other hand, New York offers other benefits. Harlem is a part of Manhattan, with location north of Central Park, known after its rich history and exotic culture. Harlem represents one of the most influential parts of New York and American history in the arts, culture, fashion, and music. 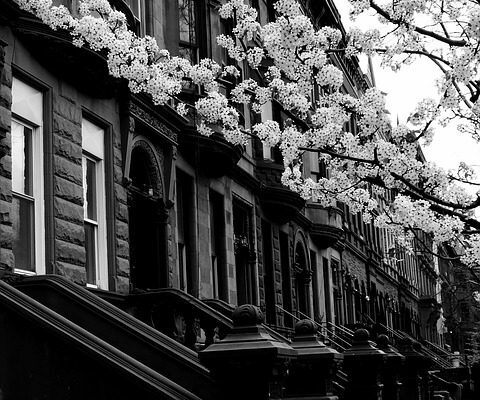 Moving to Harlem from Miami could be the exciting and life-changing step for you. If you are interested in how life in Harlem looks like, let us inform you of some benefits and opportunities you can find there. Harlem is one of the closest neighborhoods to Central Park! For many young people, for better or worse Midtown is the destination point for many. Commuting there is a pretty terrible. But moreover living there to avoid the subway schlep is not an option either. Now, Harlem, however, offers the best of both worlds options. It is more accessible to Midtown then most outer-borough neighborhoods in Brooklyn and even in Queens. In the end, Harlem may be north of the park, but it is still way closer than most other neighborhoods. Because Central Park is the most New Yorkers backyard as they say. Plus it is home to a plethora of community events and entertainment. An apartment close to the park is everything, especially in the warmer months. So, in the end, choosing Harlem might not be that bad and you might come to the conclusion that it is a good choice for a home. And in case you seek tips on moving on a budget hear our advice that is sure to come in handy. Moving to Harlem: Is Harlem really a good neighborhood? Now, for some, the name itself is synonymous with unsafety. In case you glance over to the crime stats, it does not entirely dispel this preconception. Moreover, it does not back it up either. From some stats from NYC Crime Map for the year 2016, from a police station that covers Harlem. So, Harlem has a slightly higher crime rate than other neighborhoods like Brooklyn. Comparing it with neighborhoods in Manhattan, Harlem sees equal and maybe lower rates of crime. But, statistics aside, your personal safety and how safe you can feel depends a lot on you and your lifestyle. The thing is as with any neighborhood in the city, you need to remain vigilant. That goes especially in case you walk home alone at night. But utilizing some common sense and street smarts those are sufficient to get you through the area safely. If you still worry about moving to Harlem, consider hiring Harlem based moving specialist to ease your relocation. Remain vigilant when going home alone during the nights! Life in Miami is expensive, but not as much as life in New York. When planning your relocation to Manhattan, you should prepare yourself for a long distance move. And it’s not so cheap. After paying high costs of relocating, you surely want to rent the most expensive apartment in New York. Living in Manhattan is a luxury for most people, but not every part of this city is offering apartments on the same price. In Harlem, you can find more affordable apartments! You can get a much nicer and cheaper apartment for less money in Harlem, then in Brooklyn or Queens for the same amount. In Harlem, you can find lower-rent neighborhoods and save some money. If we compare Central, East, West Harlem, Ridgewood, Bed-Stuy, Astoria and Windsor Terrace, we can see that Central Harlem has some of the lowest rents. And it’s a big job opportunity! Harlem is a great place to live with your family, friends, and roommates. If you are a student at Columbia University or you’re looking for a job in Harlem, this is the best choice for you to start a better life. A large selection of foreign cuisine restaurants, as well as plenty of coffee shops and internet bars, makes this place really friendly and relaxing for young people especially. Living in Manhattan is expensive and exciting, but Harlem is a relatively cheap neighborhood. Besides, the unemployment rate is 12%. Harlem offers a wide range of job opportunities. So if you’re thinking about getting a job in New York, consider finding it in Harlem. Good job, cheap apartment and still be closer to the city center – what else can you wish for? Also in case you look for pros and cons of moving out of NYC, we got that covered too! Harlem has an equal crime rate as any Manhattan neighborhood! Harlem is located in Manhattan, north of Central Park – one of the most popular and most visited places in New York. Even if it’s north of the park, it’s still much closer than most other parts of Manhattan. Another great thing about Harlem and Manhattan at all is that there are many subway lines. And many other subway trains are going close to Harlem. So you can take a walk if you catch the wrong one. Living near the city center is expensive in every big town in the world, but imagine, you can live near New York’s center for lower prices! Harlem is offering you an opportunity to live a nice and dignified life with lower costs of living. And still being in the heart of New York. Isn’t that amazing?